Reliance Industries Chairman and Managing Director Mukesh Ambani has featured in Foreign Policy magazine’s 2019 annual list of the top ‘100 Global Thinkers’. 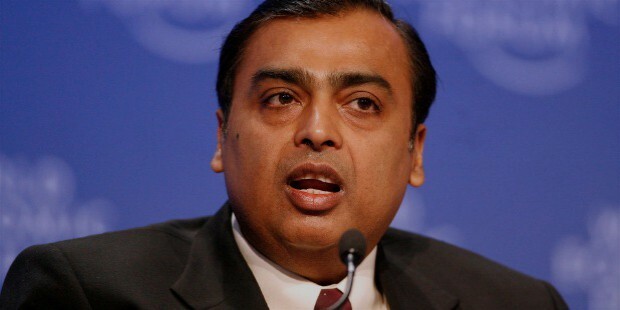 MUMBAI: Reliance IndustriesChairman and Managing Director Mukesh Ambani has featured in Foreign Policy magazine’s 2019 annual list of the top ‘100 Global Thinkers’. Other prominent personalities in the list include Alibaba Co-founder and Executive Chairman Jack Ma, International Monetary Fund’s Managing Director Christine Lagarde, European Commissioner for Competition Margrethe Vestager and Author and TV Host Fareed Zakaria.